ISLAMABAD: The government of Pakistan Tehreek-e-Insaf (PTI), who has decided to issue profitable semi-interest bonds for overseas Pakistanis and to keep the Pak-China Economic Corridor (CPEC) projects in front of parliament do not looking to provide relief to people in their 'first 100 days'. After the success in the general elections, Pakistan's expected foreign minister Asad Umar said his first press conference, "Providing relief to the people in the initial 100 days then offering subsidy is like giving a lolly pop", he said. 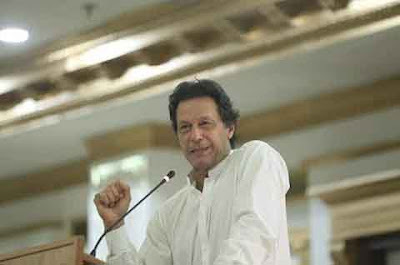 READ MORE: Why Western Media So Against Pakistan's PM Imran Khan ? He further said that in the initial 100 days of the government, we will not be able to see decisions that will change the fate of the nation, but the government will get the direction for the bright future for which government has promised. Asad Omar complained that local and International media showed the need of $12 billion in six weeks, referring to more than 200 companies including Pakistan International Airlines (PIA), Pakistan Steel Mills (PSMs) and others in a very wrong and deceitful context. He said that there was no negotiation regarding the previous revised budget, while non-transparency in foreign debt is also a major challenge. He further added that we do not have many options, but in the next 6 weeks of the government, the global financial institutions will look at all the options including the help of International Monetary Fund (IMF). The Finance Minister said that they have Scottish Bonds, Euro bonds, two-way and multi-purpose options, but their party is highly wished to use the capabilities of Pakistanis abroad. He said that overseas Pakistani, Pakistan Tehreek-e-Insaf and Imran Khan are linked emotionally, but we have prepared a plan that we will issue debts with better profit than before, so that they can play an important role in development of nation. Asad Umar said that all the government measures should be transparent and they should be present in the parliament unless there is any real secret in it. Author: Haseeb Ahmed Saeed is a Patriotic, Passionate Blogger, Writer and a Student of Bachelor. He loves Technology more than anything else and also Expert in Civil Diplomacy, Current Affairs, Military Analyst etc.